Whether the drift and aim of every wise State should not be, to encourage industry in its members? And whether those who employ neither heads nor hands for the common benefit deserve not to be expelled like drones out of a well-governed State? You may answer this query; however, due to spam, comments are moderated by admin. 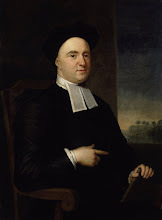 The Querist blog will post George Berkeley's 18th century queries, one query at a time. We will also post queries from other centuries, including our own 21st century. Perhaps answers can be found in the query and, perhaps, within the querist. The Querist is an independent site and is not affiliated with any parent company. While The Querist welcomes differing comments regarding queries, the webmaster reserves the right to reject spam, unwanted advertising, copyright-infringing comments, hate speech, ethnic/racial intimidation, harassing/stalking posts, and libelous content. Comments are moderated by the webmaster. This site (including the webmaster's queries) is copyright 2008-present, by Jennifer Semple Siegel. The Querist, by George Berkeley, was published in 1735. This public domain version, transcribed by Charles Aldarondo, has been reprinted from the Gutenberg.org plain vanilla text. Other works posted here are copyright by their respective authors and are attributed accordingly.